The 10 Best Corn Mazes in Kansas! This fall, head out to beautiful, rural Kansas to discover some of the best corn mazes in the country. Late September through mid-November enjoy any of these challenging, fun corn mazes set in scenic surroundings. Fall’s cool, crisp air makes the experience even better. Check out our favorites. 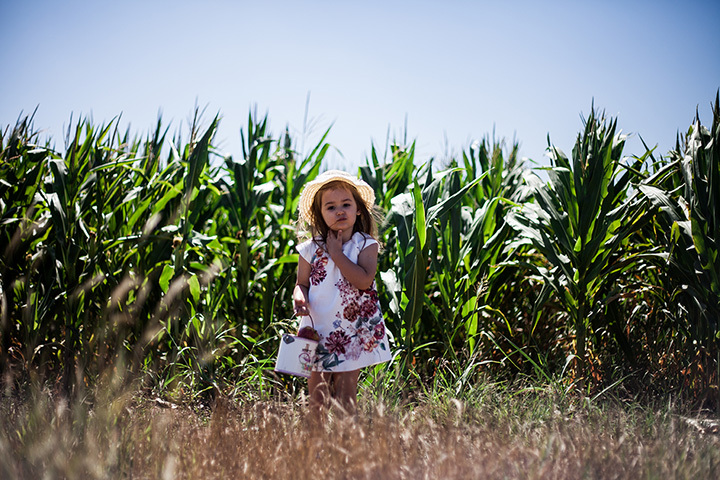 Take a road trip to Burden and visit the four-acre corn maze at In-Toon Pumpkin Patch Corn Maze. Previous themes include a “Wild West” design. The little ones are sure to love every moment of this exciting maze. The corn maze at Hickory Creek Farms near McCune offers corn maze enthusiast six acres of twists and turns until you wind up at the end. This corn maze is set on a family farm and offers everyone a chance to be a part of a working farm. Enjoy all the options available on this friendly Kansas farm from late September through the end of October. At the Cox Farm Corn Maze near Wichita they warn you right up front, “stay on the paths or the corn critters will get your toes!” Enjoy the spirit of the season at Cox Farm. Known for their fall celebrations the Louisburg Cider Mill in Louisburg has an extraordinary corn maze. In fact, the corn maze has 10 acres of paths and puzzled corn rows, that take you through a series of turns leading you out of the maze. Any skill level of maze seekers is welcome to follow the paths and play the “Maze Game” at the Walter’s Pumpkin Patch Corn Maze near Burns. Easy to get to this corn maze is a “giant and fun-filled.” The maze can be a challenge and a whole lot of fun for kids/adults of all ages. Always a new theme and always fun to trail through head-high corn stalks. Everyone needs to travel to Granny Mae’s farm near Dorrance. Today it’s the same as it was when Granny Mae and her husband purchased their farmland—homegrown crops and homegrown fun. There are lots of great fall activities to do and learn from, plus the corn maze is full of fun items to scavenge as you work your way through the maze. Enjoy the fall at Granny Mae’s home place. This fall, head to the Nelson Family Farm near Olsburg and enjoy this farm’s amazing corn maze. Plan to spend the day with friends or family and experience the challenges this maze offers. It is just a fun place to visit and gather with a group or on a family outing. View more Kansas Corn Mazes.